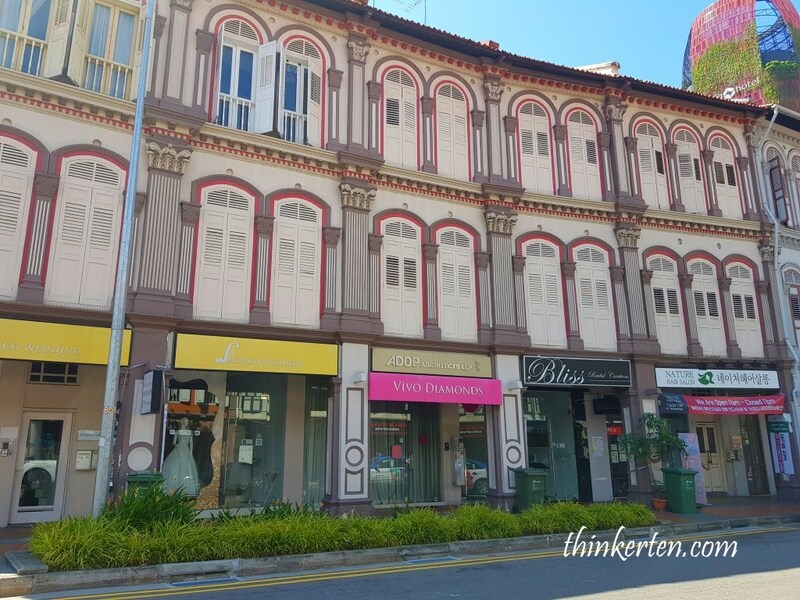 What I like most about Tanjong Pagar is the historical bright color shophouses, and exploring the alleys with interesting culinary selection, from cheap to expensive fine dinning. 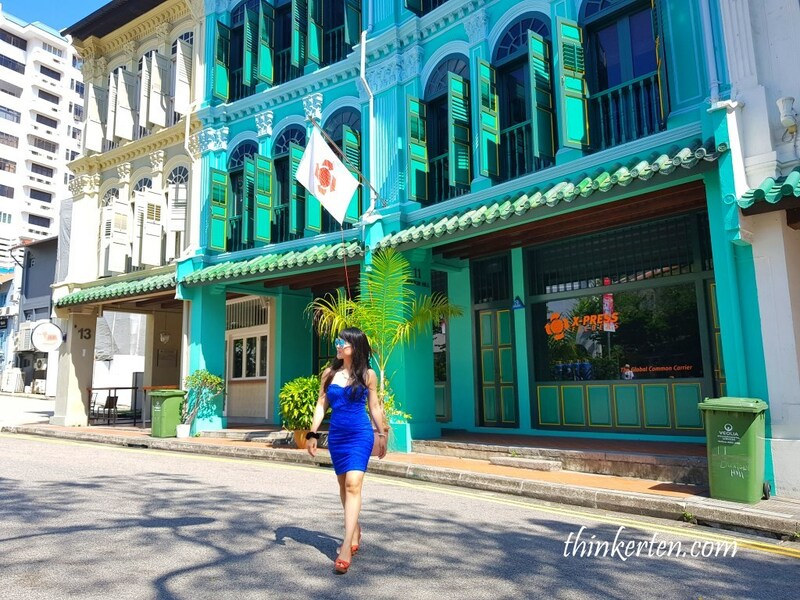 Tanjong Pagar means “Cape of Stakes” – it refer to the wooden stakes (kelong) that hold up fishing villages in water. Yes, this place is used to be a sleepy fishing village but now it has transformed into a vibrant business and commercial centre, just few decades. Don’t forget Tanjong Pagar also has the well-known world’s leading container ports. 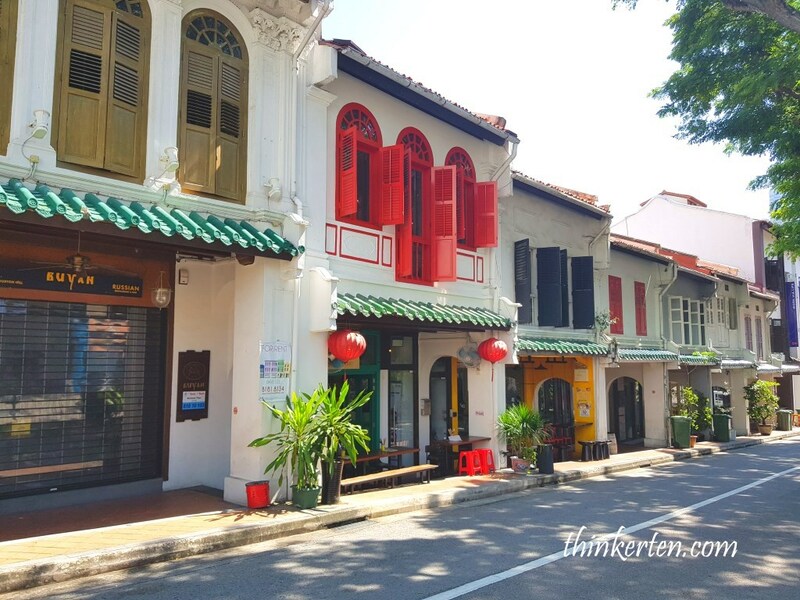 Most of the shophouses are well maintained and colorful, most of the them are used for hostel, restaurants and cafe. 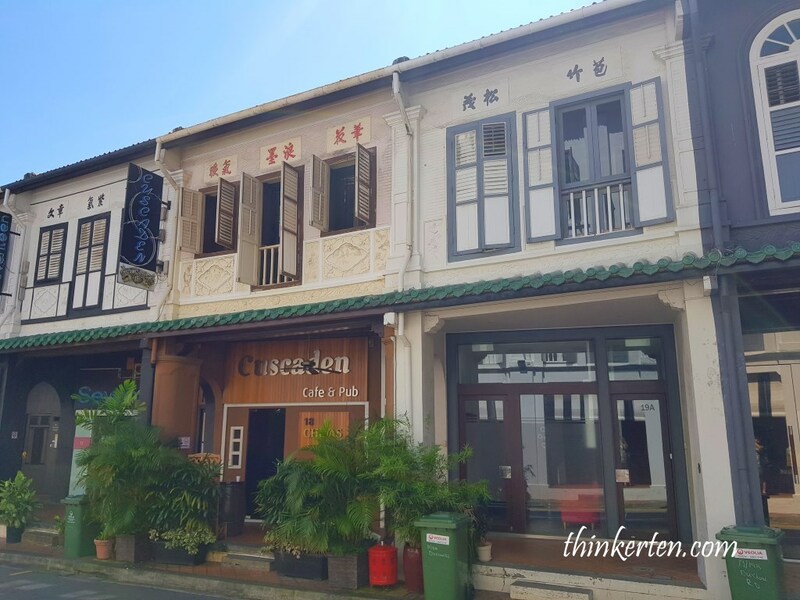 Some of the shophouses has three storey and owned by the affluent Chinese back in the olden days in Duxton Hill. Duxton Road was at Duxton Hill. This road was famous for the nasty activities back in 19th and early 20th century for it opium and gambling den. 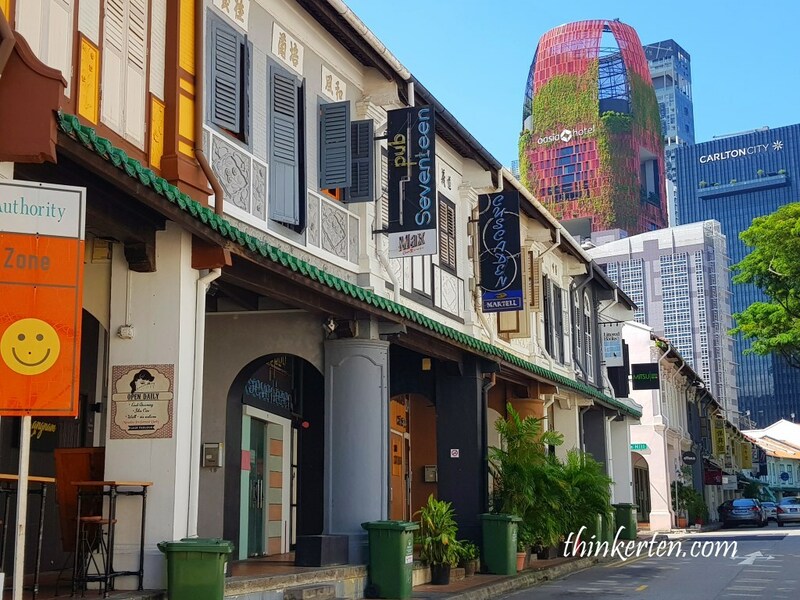 If you walked up to the alley you are able to discovered more interesting shophouses but all turned to be nice pub or cafe now. 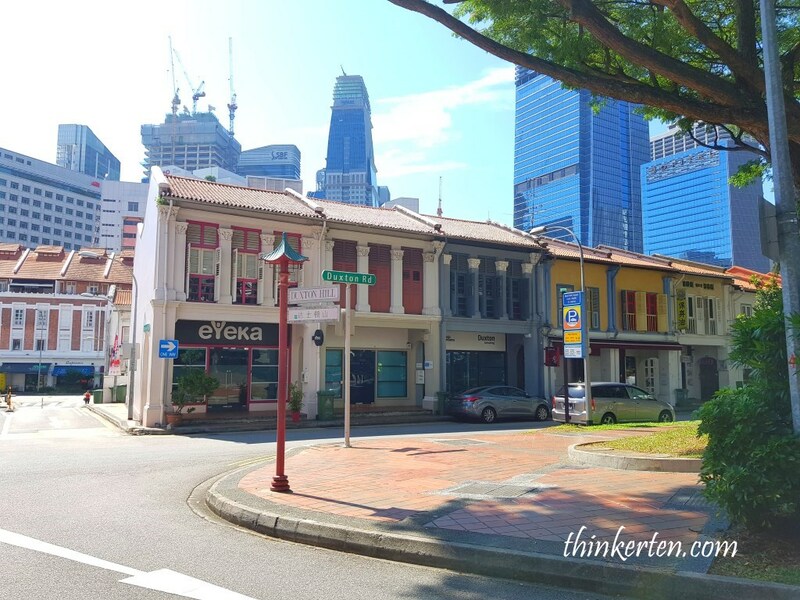 Currently, the area is part of the Tanjong Pagar Conservation Area. Pinnacle@Duxton – Award Winning HDB! Yes, Pinnacle@Duxton again, you get to see this old and new housing in one glance. 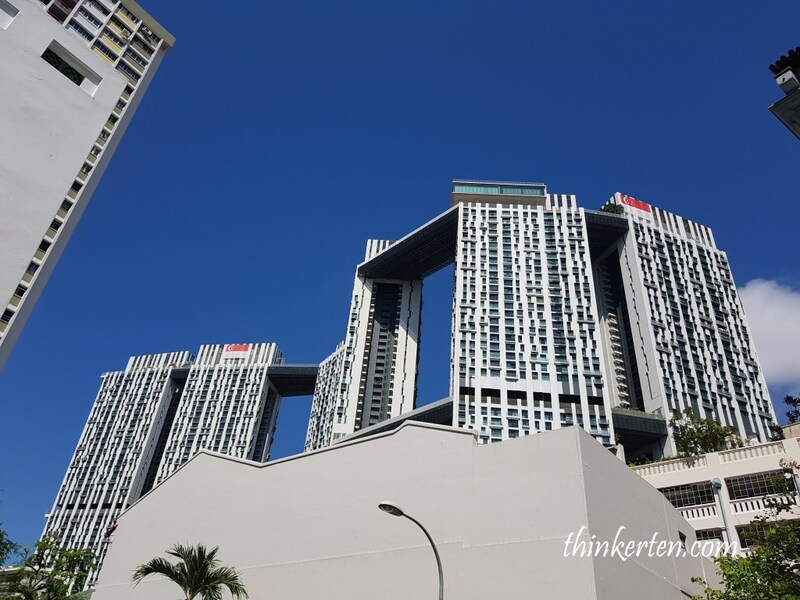 The first 50-storey public housing/HDB flat in Singapore – Pinnacle@Duxton. This awards winning HDB has a famous sky bridges which linking the seven towers. It also has the world’s longest sky gardens, spanning 500m each, located at 26th and 50th floor of the building which offer panoramic view of the whole city skyline. Public access is charged by SGD $5.00 by tapping your EZ-link card. Each Ez-link card is only allow for entry for one per person, if you have already tap for yourself, you cannot use the same card to tap again. 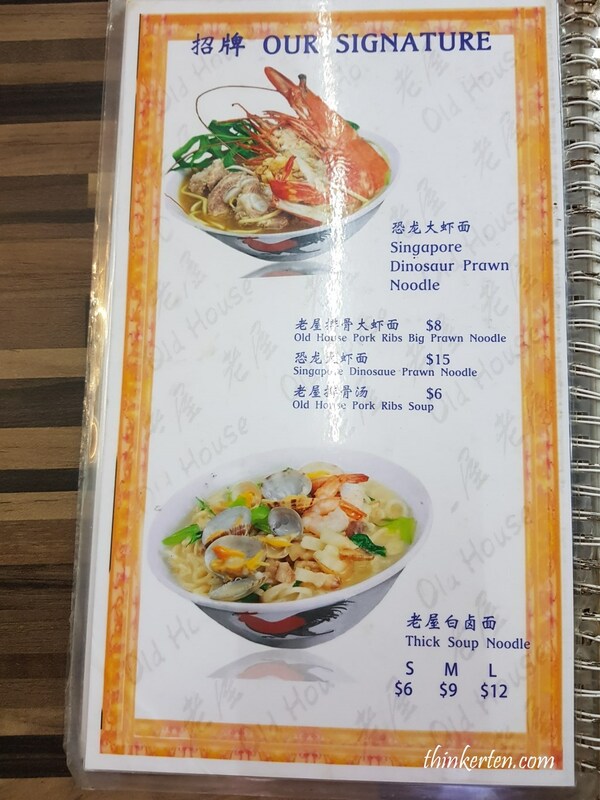 Old House is famous for their signature dish, Dinosaur Prawn Noodles or their signature white noodles. 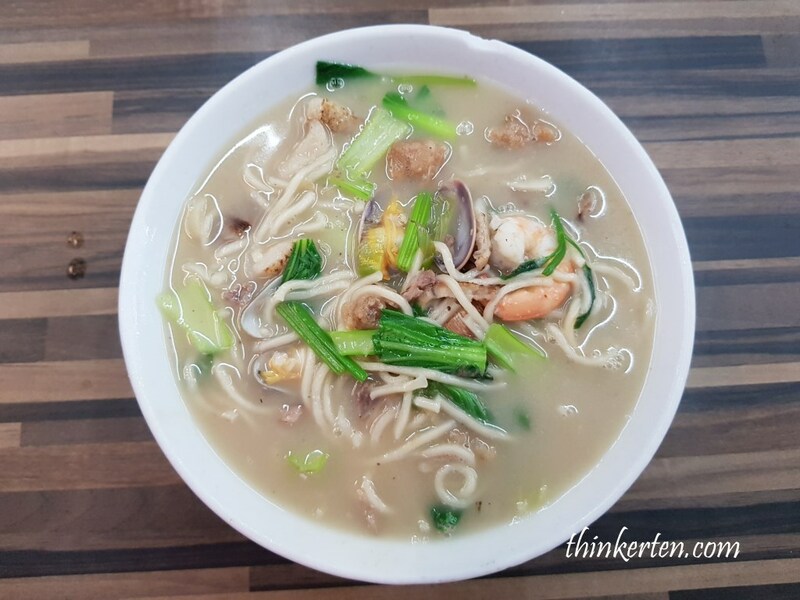 The soup base tasted very nice because the owner used their grandfather recipe which used seafood, clam/lala, mussels and pork belly as ingredient. 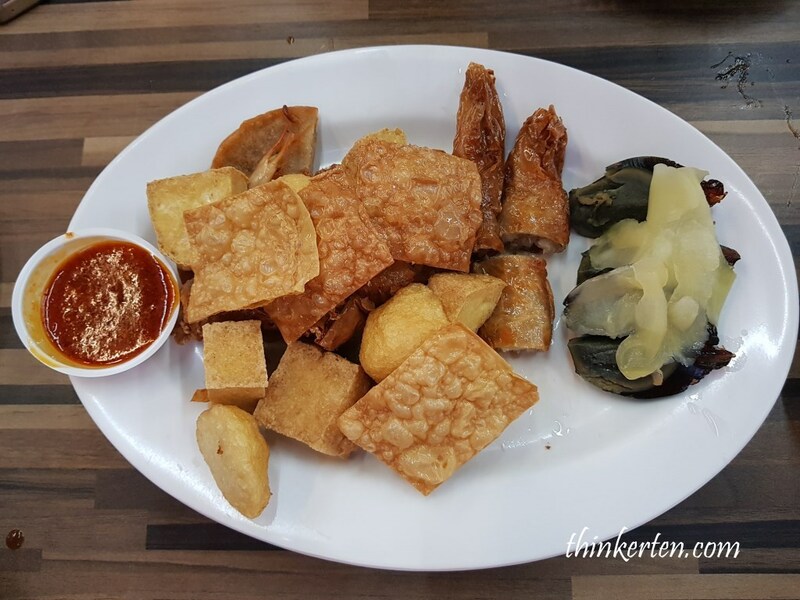 A must try on the white noodle soup! 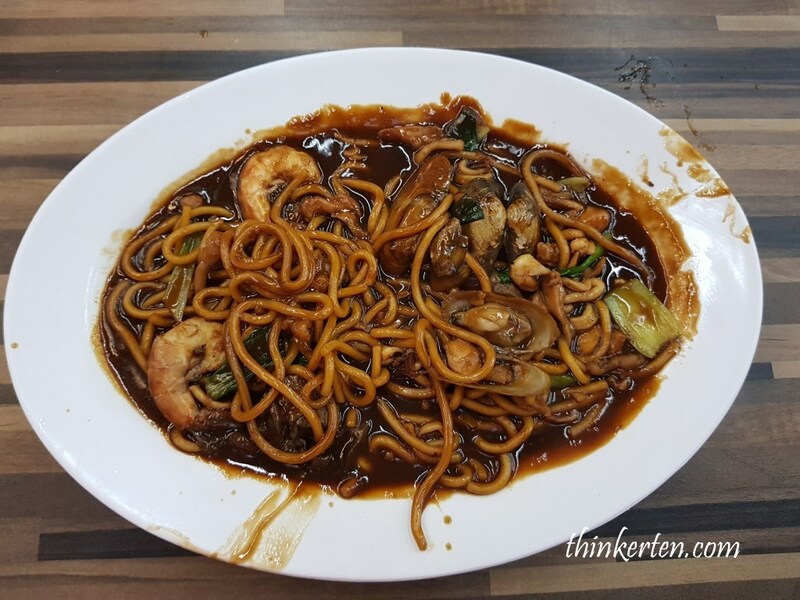 Other recommendation dish are the Ngoh Hiang and Hokkien noodle which tasted quite normal. I still prefer their signature clear soup white noodle! 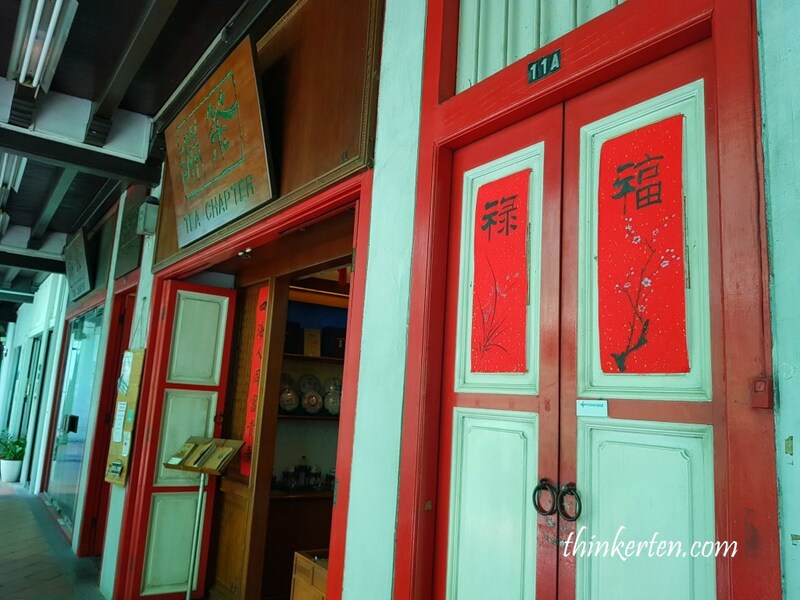 If you have friends from overseas and wanted to look for Chinese tea, do bring them here. 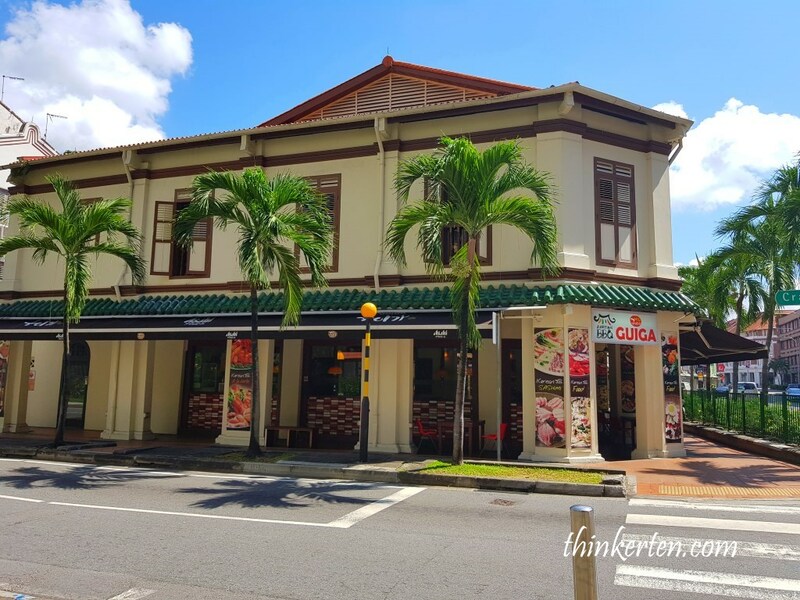 Jinrikisha Station– located at the junction of Neil Road and Tanjong Pagar Road, built in 1903 served as the main depot fr rickshaws. 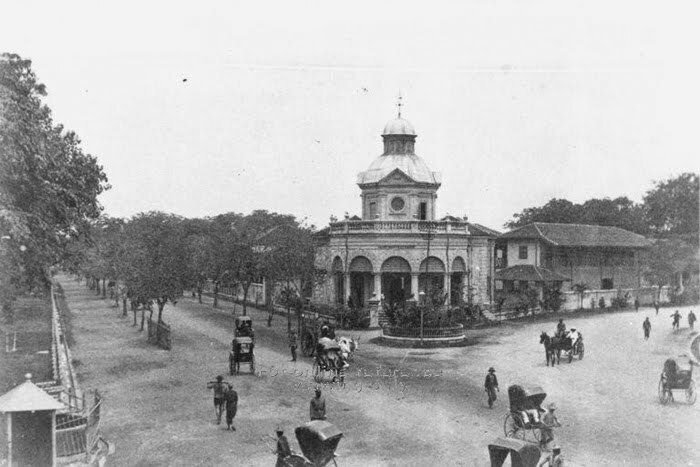 The building was used for several other purposes after banning on rickshaws in 1947. It is under renovation when I passed by recently. In 2007, the historical building was purchased at SGD $11 million by Hong Kong movie star Jackie Chan! 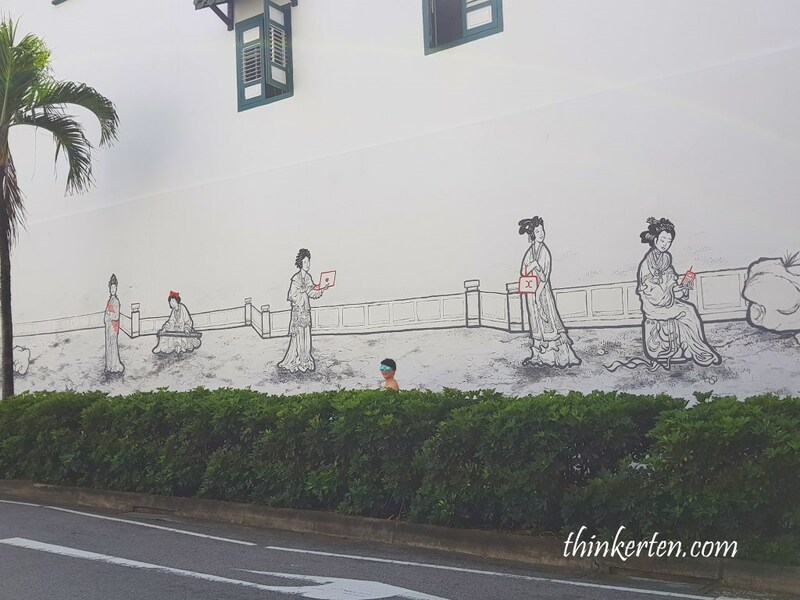 If you look carefully at the mural, it is interesting to see the ladies in the past using high tech gadgets, such as mobile phones, laptops and Chanel handbag. My interpretation of this piece is likely intersection of old and new. 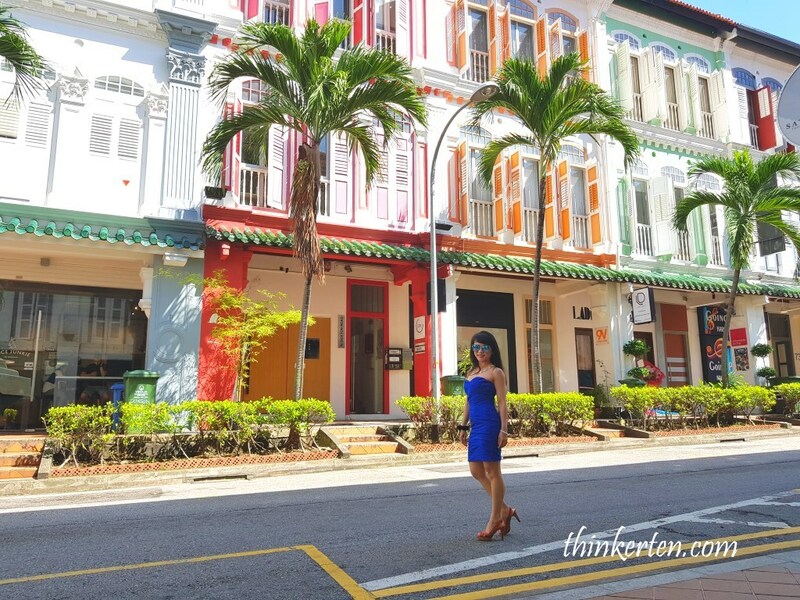 Tanjong Pagar can also called as little Korea in Singapore. This place is pack with Korean related shops – featuring a variety of Korean restaurants and supermarkets. I could easily spot more than 10 Korean BBQ shops in one row of the showhouses. 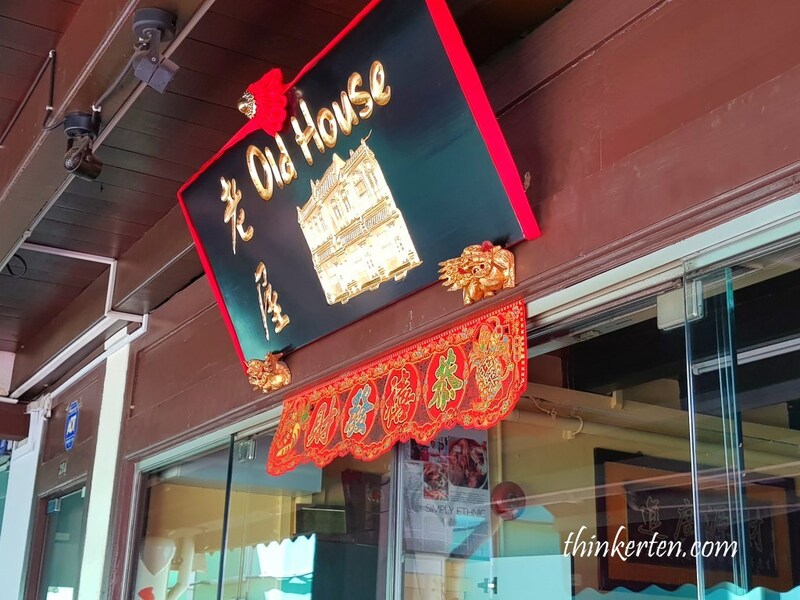 If you are craving for kimchi, bbq and spicy octopus, then come to Tanjong Pagar for the authentic Korean food. Yes, you will find some Japanese restaurants and pub too. Thanks to K-pop, K drama, there are even Korean Bridal shops! Go check it out if you want to wed like a Korean Celebrity. 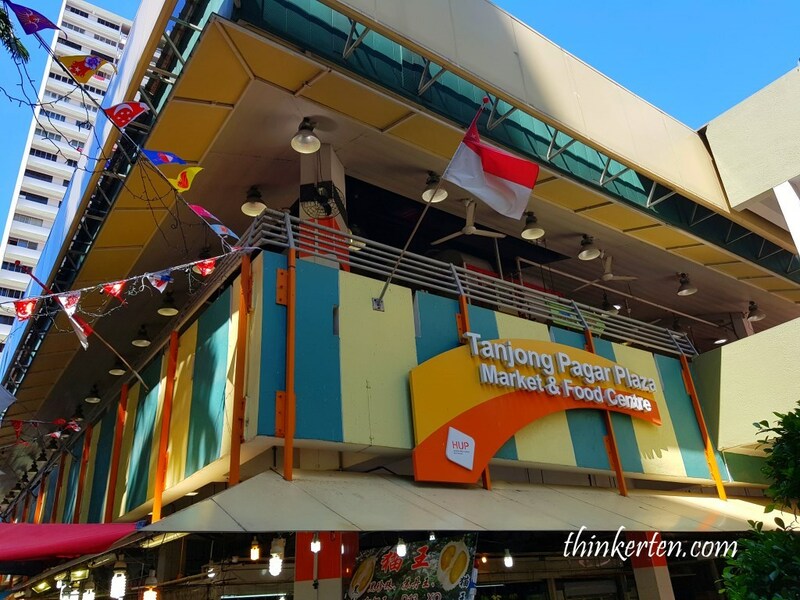 You will find more of Singaporean local food stalls here but closed at night.